Welcome Kohler Waters Spa & Equinox! We are excited to announce that Kohler Waters Spa and Equinox will open at Lincoln Common in 2019! 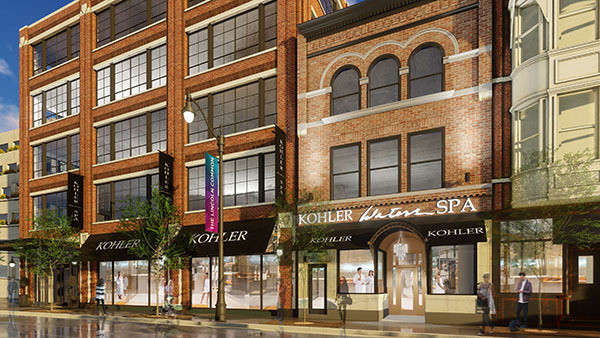 The 20,000-square-foot Kohler Waters Spa will offer a menu of signature hydrotherapy services, including the Kohler Hydromassage Pool and individual Vichy Shower massage rooms. The restorative retreat will open at 2358 N. Lincoln Ave. in 2019. High-performance lifestyle club, Equinox, is hard at work outfitting its new 33,500-square-foot home at Lincoln Common! With an indoor pool, steam rooms and cycling, pilates and barre studios, Equinox will offer members an experience that sets a new standard for the art of living. Thank you for your continued support and patience as Lincoln Common comes to life! Visit LincolnCommon.com for news, updates and project details.